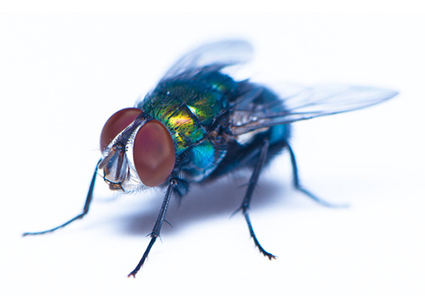 A common house fly may seem like a minor irritation, but infestations can multiply greatly within a brief period of time. House flies enter the home when a female fly locates an indoor source of trash or other organic material within which to lay her eggs. It is usually difficult to notice a fly infestation at first because adults are fast and pupae are nearly impossible to find. To avoid infestation always repair damaged window screens and have strict sanitary measures. If you believe your home may already have an infestation, contact your local pest control professional.